Fall is my favorite time of year in Orlando when the Epcot International Food & Wine Festival makes its annual appearance. 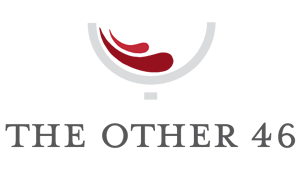 The popular event offers locals and tourists the opportunity to taste their way around the world on an unforgettable tour of eclectic cultures, global cuisines and wine offerings. Among the many stops along the way, be sure to salute the Sunshine State and all that makes it great as you choose from a selection of local foods and beverages. After its successful debut last year, the Florida Local kiosk returns. Also making a return appearance is Florida Orange Groves Winery, the third generation family owned and operated tropical fruit winery in St. Petersburg, Florida. 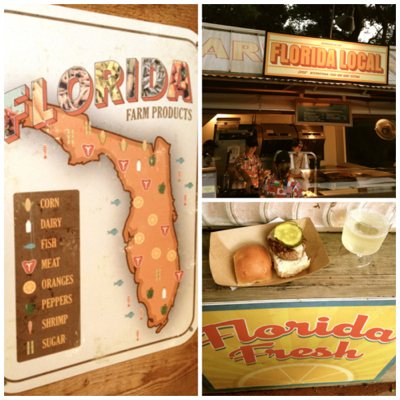 I opted for the Florida grass-fed beef slider with white cheddar and sweet & hot pickles paired with the Florida Orange Groves Hurricane Class 5 White Sangria. The wineries best seller, the Sangria is a blend of 5 of the other wineries fruit wines. A delicious and refreshing wine that paired perfectly with the slider. Also, be sure to try the Florida shrimp ceviche and excellent offerings from Orlando Brewing and Cigar City Brewing. Cheers!